Truck Accident Personal Injury Lawyers in Mission Hills, California! Experienced and Trusted Lawyers To Handle Your Personal Injury or Wrongful Death Claim in Mission Hills, Los Angeles, Calif.
Our team of Mission Hills, Los Angeles, CA lawyers features accomplished and top-notch legal experts with more than 40 years of experience in successfully handling thousands of personal injury and wrongful death truck, car and motorcycle accident injury cases. Truck, car and other injury accidents cause devastating injuries in Mission Hills and Los Angeles so if you need any help, just call 818-222-3400 (after hours dial “1”) or click here. Known for maintaining an aggressive approach in complex negotiations while our accident attorneys pursue all appropriate remedies to get our clients the best possible results, we are equally compassionate towards our clients. We understand that suffering painful injuries, especially when losing loved ones in truck and car wrongful death accidents, can be extraordinarily painful and difficult. Further, when a devastating truck accident leaves you helpless, physically and mentally, your family also suffers, especially if you are the sole wage earner in the family. Considering all of this, we work hard to help you get the best possible medical care, even help with transportation if you cannot get to your doctor, and we aim for maximum compensation to bring justice to our clients. Click here to reach our Mission Hills accident lawyers for a truck accident case or wrongful death case consultation. Our initial case consultation is absolutely FREE! And there is NO fee unless and until we WIN! For more details about our experienced personal injury lawyers, check our lawyer profiles. 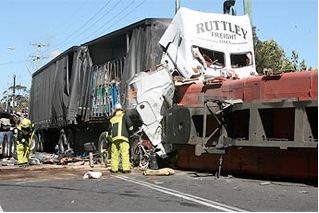 Check out our Truck Injury Accident Web Site to learn more about the truck accident injury claims process. And simply call us at 818-222-3400 or go to our contact box 24/7 to tell us about your particular case so we can give you more specific information and guidance about your own specific situation. Pacoima Health Center in Pacoima is a mainstay of health services in Mission Hills. There are interesting tourist sites, including each year a large number of tourists visit the Mission San Fernando Rey de España , a historical mission in Mission Hills. Ryan Braun, a very famous and leading professional baseball player, who at this writing plays for the Milwaukee Brewers in MLB (Major League Baseball) as an outfielder, was born in Mission Hills, CA. Further, Michael Kuluva, a reputed fashion designer, currently resides in Mission Hills, CA. Considering the fact that ­­­­dealing with the intricate process of personal injury claims can be a rather intimidating and stressful proposition, we work hard to explain the process to our injured clients and to help as much as possible with the claims process to streamline this sometimes complex procedure. Our personal injury attorneys commit themselves to your case once you decide to use our legal services. We are extremely proud of having a success record of more than 95% in our practice of 40 years, even though overall success never guarantees any result in any new matter. Many consider our personal injury lawyers and law offices among the premier legal agencies. Our lawyers come from diverse backgrounds and fight for a common cause of bringing justice to clients. Please just look over testimonials available on our website to know what our clients have to say about us. To gain an in-depth understanding of how we can assist you with personal injury and wrongful death accident claims in and near Mission Hills and Los Angeles against corporations, insurance companies, and government entities, just reach out to us for a free consultation and case evaluation. For our quick and easy consultation, fill out the details in our contact us form 24/7 and tell us about your Mission Hills truck accident or other injury accident. We provide FREE consultations and work on a contingency fee on accident injury claims which means we do not receive a fee until funds are recovered and the fee is then paid out of our recovery not your wallet.